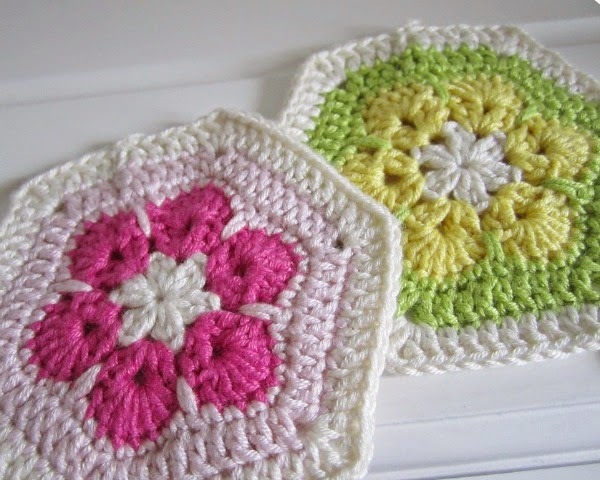 Crochet wasn't even on my radar before I started blogging. If asked, I'd probably have said it was something only very old ladies or drippy girls did. What can I say other than apologise for my extremely ignorant pre-2010 self? 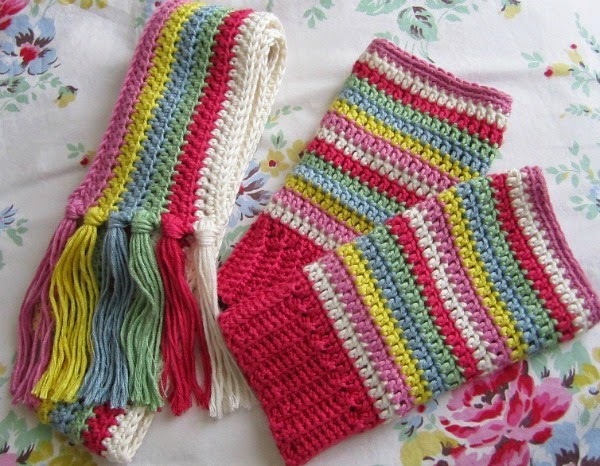 I cite two blogs as being responsible for inspiring me to learn to crochet - Do You Mind If I Knit and Attic 24. It was Vanessa's Little Squares Scarf that tipped me over the edge and sent me running off to the library for any crochet book I could lay my hands on. I invested in a ball of raspberry pink Paton's Smoothie and a 4mm aluminium hook and my crochet journey began. That was at the beginning of 2010. I must admit, it took me a while to get the hang of it. In fact, I very nearly gave up at one point, deciding that there must be sorcery involved. I'm a reasonably intelligent girl for goodness sake, why else could I not do it? I decided to tackle it logically and set about learning one stitch at a time. I needed to really understand what I was doing rather than just copying the how-to diagrams or other people parrot fashion. 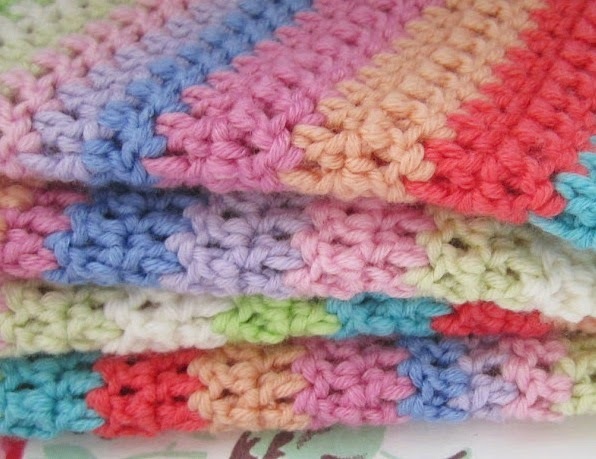 I'd crochet row after row of the same stitch until I was happy. Comfortable with the hook and happy that I knew what I was doing. Ish. It's true what they say, something really does 'click'. Like an epiphany! Suddenly I just 'got it' and was completely and utterly hooked. I thought about crochet and yarn all day (still do) and even used to visualise the stitches in my sleep. On more than one occasion, I elbowed D in the face whilst performing a particularly tricky crochet manoeuvre! With hindsight, the first couple of projects I tackled were perhaps a little ambitious. See that heart at the top of my post? That was my very first official 'make'. Followed closely by the above rose. Gosh, I was so proud of that. Playing 'yarn chicken' and losing! 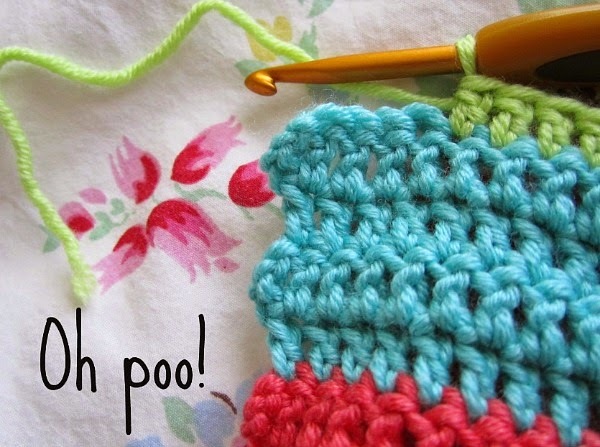 Crochet 'fail'. Mixing yarn weights? Really? Crochet 'fail'. In fact, there still are. That's part of the fun. To date, I have ordered the majority of my yarn from the internet where I can commit my crochet crimes in safe anonymity. So, yesterday, it was with a teeny bit of trepidation that I went to buy some yarn in person. 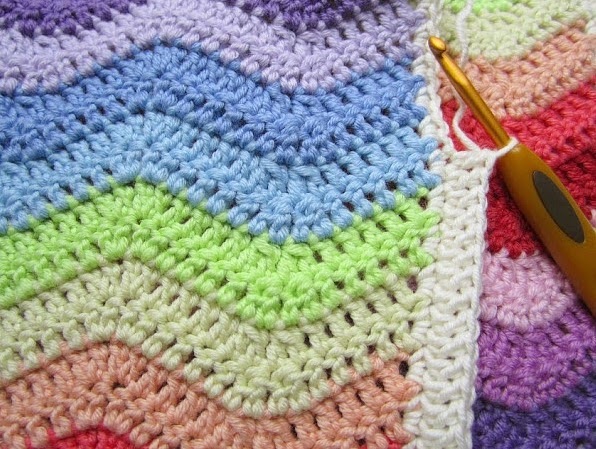 Would there be crochet police around the perimeter, ready to pounce? Worse, would there be three middle aged women who had 127 years' knitting and crochet experience between them, grilling the shoppers on how they sew in their ends? Would I be timed on how long it took me to complete a 6" square of treble stitch before being allowed to cross the boundary? My first ever crocheted 'clothing' - February 2011. Adored these. Crochet 'win'. 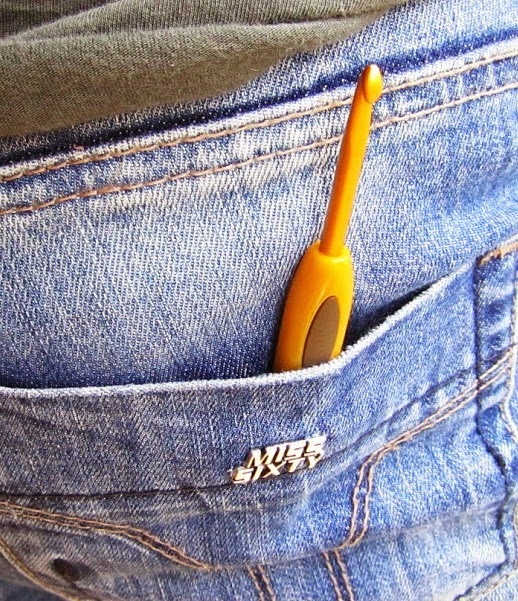 … and took my hook everywhere! That said, finding my own style and being able to turn the designs in my head into crocheted reality is my hugest 'win'. Crochet has brought me nothing but joy and I would recommend it to anyone. I've been lucky enough to receive a copy of Sarah's new book and can honestly say that it's super. 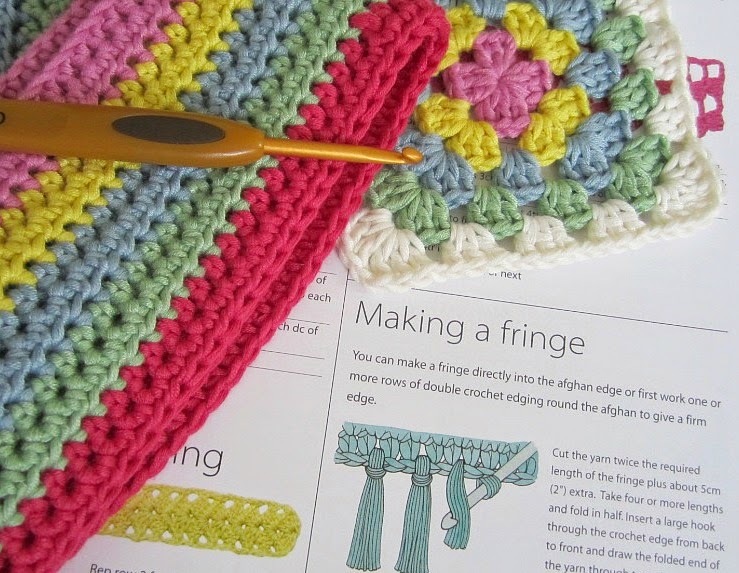 It guides you through everything you need to know when starting out on your crochet adventure. 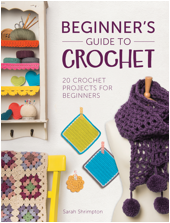 Beginner's Guide To Crochet is available as both a printed book and an eBook. 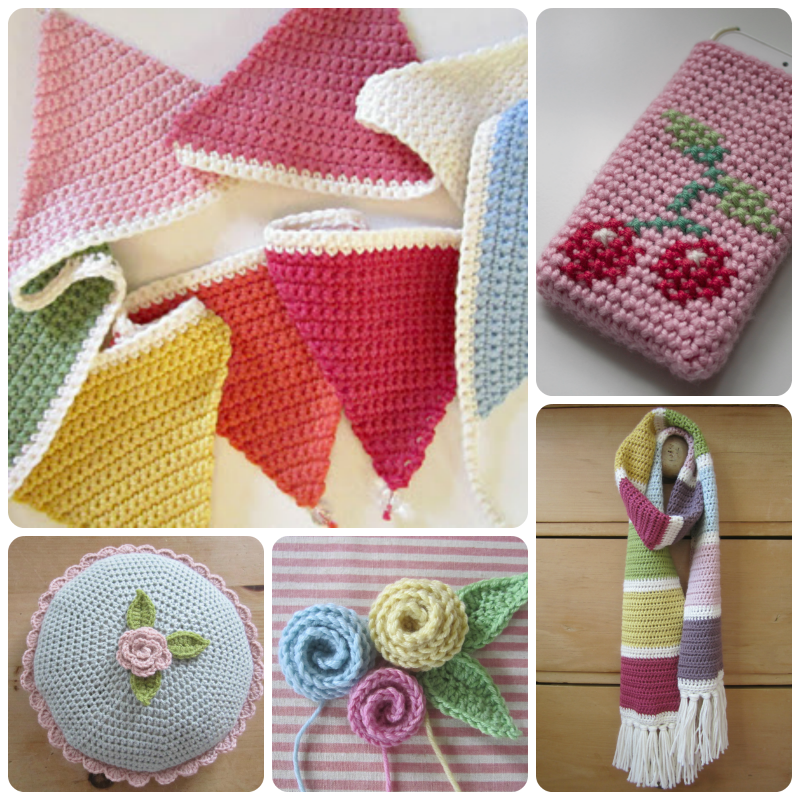 Sarah's curated crochet page at Stitch Craft Create is also worth mentioning for all those yarny essentials! Loved hearing your story about Crochet. I have been Crocheting for a couple of years and It brings me so much joy to. Thanks for Sharing. What a great crochet story. I can relate to almost everything. I wish crochet were as cool as it seems to be over there...maybe it will catch on more here someday too. 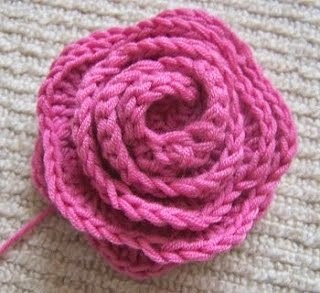 As a person new to crochet myself I understood your post very well. 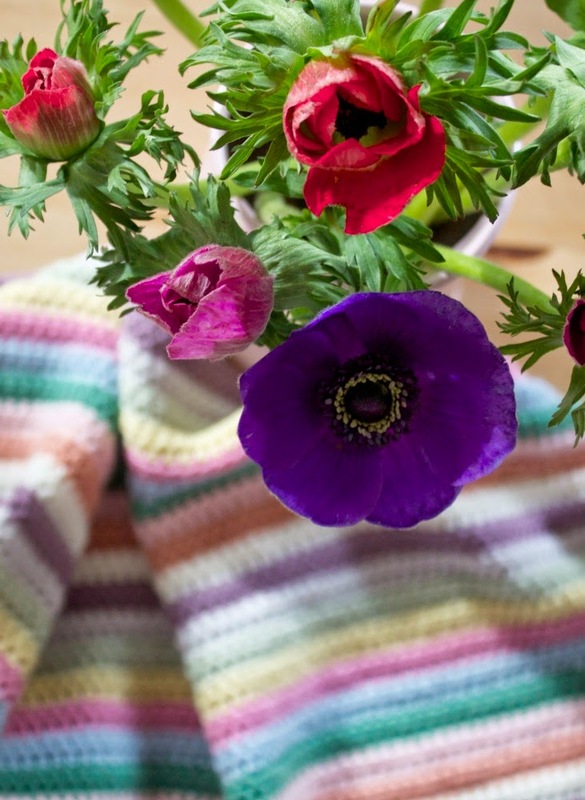 I love your blog & the colours you use. 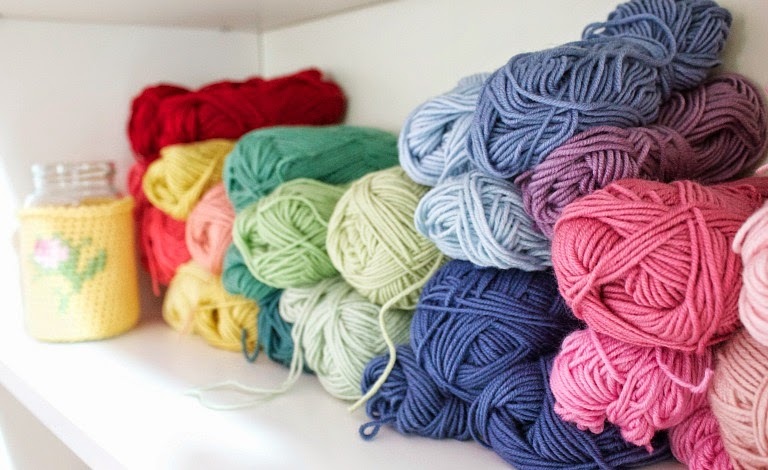 What yarn did you use in this post? It looks so soft!! Hello dear. What a great story. And just like Chrissie, I can relate to so much of it. Still learning every day and all those half done WiP's... Will they ever be finished? Thanks for sharing. Brilliant post, loved hearing your crochet story. You're so right, it is like sorcery at the beginning isn't it? Fabulous post! 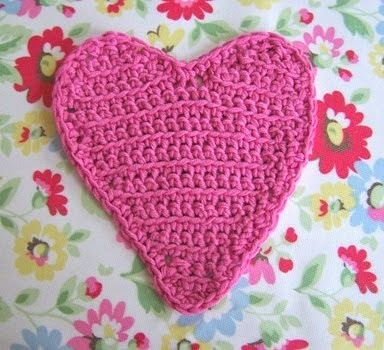 I loved reading about your crochet journey, and your blog remains one of my absolute favourites. Thank you so much for nominating me...I am so pleased and touched. 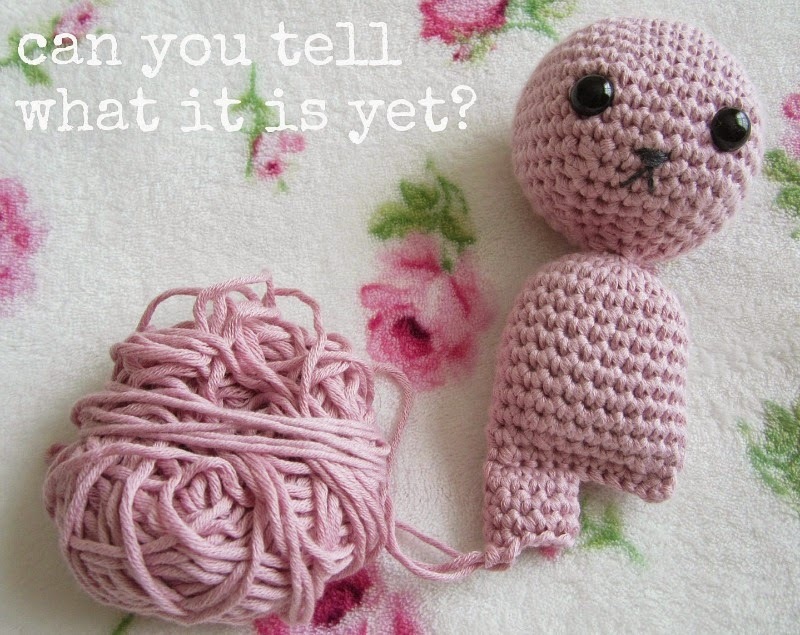 It's lovely hearing your crochet story with these adorable pictures! Thanks for sharing! 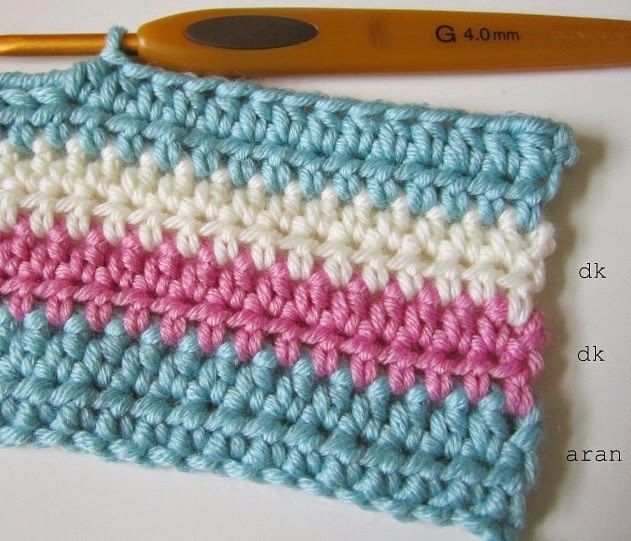 Hello is very nice read about your first steps with crochet,so good I m at first and I hope to learn and to thing good like you! !Your crochet is perfect! !It s very interesting book! !Love and have happy week end!! Thanks for joining in you lovely gal! Weseem to have been on a very similar journey, especially the bit about the yarn shop visit! I don't have the knack of blogging but I do love reading them. Here's to many more happy hooky hours.